October has been crazily busy month. I got married – with a DIY wedding that took away every bit of time I had left – had to move and a lot of other crazy things happening (more on that later). Anyway, I’m finally back and will soon light up my oven again. 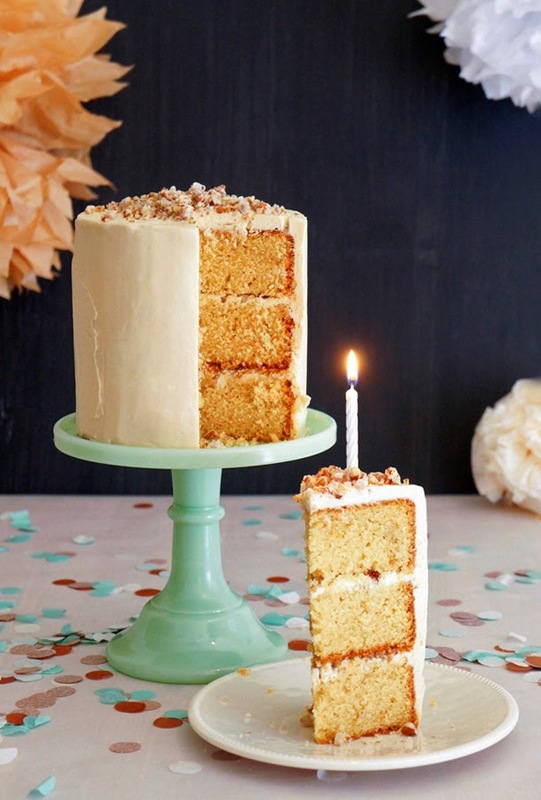 Till then, enjoy this scrumptious recipe for my Toffee Dream Cake with Hazelnut Praline, the perfect cute little cake for any dinner party!